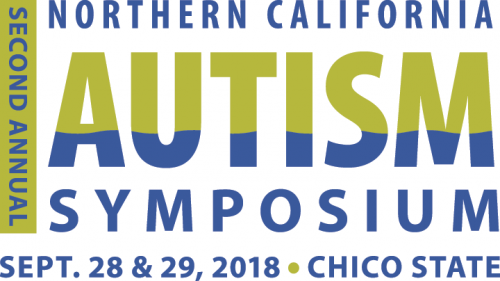 The second annual Northern California Autism Symposium will be held on campus on Sept. 28 and 29. The program will include concurrent, plenary, and keynote sessions for professionals, parents and guardians of individuals diagnosed with Autism Spectrum Disorder (ASD), and adults with ASD. Session topics from experts in the field and individuals with ASD include evidence-based practices, parent advocacy, self-regulation, building friendships, video modeling, and physical activity and exercise interventions. Far Northern Regional Center, California Autism Professional Training and Information Network (CAPTAIN), and Chico State have worked to build a science-rich program focused on evidence-based research. On Friday afternoon, the plenary speaker will be Dr. Leonard Abbeduto, director of the UC Davis MIND Institute. His presentation, “Technology as a Tool for Bringing Services and Research to Individuals with Autism and Developmental Disabilities, Families, and Communities,” will focus on the need to bring evidence-based therapeutic practices to scale and in a way that ensures equitable access to all people, regardless of race, ethnicity, language spoken or geography. Additional UC Davis MIND Institute presenters will also be sharing their work and research, and CAPTAIN trainers will present on evidence-based practices. On Saturday morning, Dena L. Gassner, LMSW, will present her experience as a female on the spectrum. She is an advocate, writer, and national presenter to schools, families, and agencies throughout the country, and operates a private systems navigation practice—a one-of-a-kind program—in Nashville, Tennessee. For session information, to view the entire schedule, and to register, visit the symposium website at ncas.csuchico.edu. Individuals who are clients of the Far Northern Regional Center and Chico State students may register at a reduced cost.